The College of Business is recognized as a premier metropolitan research business school. We compete successfully at all levels in the global business school market. The College has a specific program focus in the area of entrepreneurship, and receives broad ranking recognition in this area. Programs are offered at the bachelors, masters, and doctoral level. In addition to entrepreneurship, the College offers a unique program in Equine Industry Studies, and has internationallyrenowned programs in many disciplines, including computer information systems, marketing, and accounting. The College is housed in a modern facility on a green and attractive urban campus. Admission to the University of Louisville MBA program is, without a doubt, competitive. Students in the program rank in the top third of MBA candidates nationwide. Applicants must submit all of the following to the Admissions Office: a completed application; an official copy of all undergraduate transcripts; an official GMAT score report; a one-pag...Admission to the University of Louisville MBA program is, without a doubt, competitive. Students in the program rank in the top third of MBA candidates nationwide. Applicants must submit all of the following to the Admissions Office: a completed application; an official copy of all undergraduate transcripts; an official GMAT score report; a one-page personal statement; two letters of recommendation from professors (or employers for applicants who have been out of school for a substantial period); and a current resume. International students must provide, in addition to the above, an official TOEFL score report (minimum score: 170 computer-based test, 550 paper-and-pencil test). All candidates must be proficient in computer and quantitative skills prior to the commencement of their MBA work. Ulmer Career Management Center - The Ulmer Career Management Center can help students explore career options and plan, find, and manage the career thatÂ’s right for them. All of the services listed below are available to all students enrolled in the College of Business. In addition, alumni are eligible for resume referral services and participation in on-campus recruiting events. The Ulmer Center is currently located in the atrium level of the College of Business. The Ulmer Center is housed in a relatively new (2006), state-of-the-art facility that features a resource library, two large conference rooms, 11 interview rooms, and a corporate recruiters' lounge. MBAA- MBAA is the association for students in the MBA programs at the College of Business. Membership includes current students as well as alumni. The MBAA holds events throughout the year, including networking/social events as well as sponsoring a leadership speakers series at the College. The MBAA holds elections on an annual basis to select its Board but accepts members on a rolling basis. There is currently no fee to students to belong to the MBAA. The MBAA currently receives funding from the College of Business. The Forcht Center for Entrepreneurship, established in 2008 with a generous alumni gift from Corbin, Kentucky-based entrepreneurs Marion and Terry Forcht, the Forcht Center for Entrepreneurship at the University of Louisville College of Business is a comprehensive suite of programs that develop and nurture entrepreneurial skills, experiences and opportunities. The Forcht Center for Entrepreneurship includes the PhD, MBA, and Undergraduate academic programs; Small Business Institute; Family Business Center; Institute for Entrepreneurial Research; New Venture Competition; The Entrepreneurship Council; and Cardinal Venture Fund. The Forcht Center for Entrepreneurship's mission is to leverage College of Business entrepreneurship resources to support regional economic development. The college's entrepreneurship program has sent an MBA business plan competition team to the Rice University competition (the "Super Bowl") for the past three years. Additionally, the program has received national attention from U.S. News & World Report, Entrepreneur Magazine, Latin Trade Magazine, and the U.S. Association for Small Business and Entrepreneurship. In addition to undergraduate, MBA and PhD programs and faculty research efforts, The Forcth Center for Entrepreneurship funds expenses for student teams to compete regionally and nationally in business plan competitions, has its own venture fund to competitively seed student businesses, provides MBA consulting servicesÂ—gratisÂ—to more than 30 companies a year, and engages faculty in counseling family businesses. In addition to the MBAA, the University has several resources dedicated to diversity, including the Office of Lesbian, Gay, Bisexual, and Transgender Services. It's website is http://louisville.edu/provost/diversity/LGBT_services.html . The MBA Association (MBAA) welcomes all students to participate. http://business.louisville.edu/mbaassociation/default.htm . In addition, the University has several resources dedicated to diversity and support/services for minority students. These include CODRE (Commission on Diversity & Racial Equality) http://louisville.edu/diversity/, and other diversity - related resources, which can be viewed at http://louisville.edu/diversity/diversity.htm . The MBAA (MBA Association) offers a weekly get-together for students to study together and socialize. This is not a formal peer tutoring program. Ulmer Career Management Center - The Ulmer Career Management Center can help students explore career options and plan, find, and manage the career that’s right for them. All of the services listed below are available to all students enrolled in the College of Business. In addition, alumni are eligible for resume referral services and participation in on-campus recruiting events. The Ulmer Center is currently located in the atrium level of the College of Business. The Ulmer Center is housed in a relatively new (2006), state-of-the-art facility that features a resource library, two large conference rooms, 11 interview rooms, and a corporate recruiters' lounge. The Forcht Center for Entrepreneurship, established in 2008 with a generous alumni gift from Corbin, Kentucky-based entrepreneurs Marion and Terry Forcht, the Forcht Center for Entrepreneurship at the University of Louisville College of Business is a comprehensive suite of programs that develop and nurture entrepreneurial skills, experiences and opportunities. The Forcht Center for Entrepreneurship includes the PhD, MBA, and Undergraduate academic programs; Small Business Institute; Family Business Center; Institute for Entrepreneurial Research; New Venture Competition; The Entrepreneurship Council; and Cardinal Venture Fund. The Forcht Center for Entrepreneurship's mission is to leverage College of Business entrepreneurship resources to support regional economic development. The college's entrepreneurship program has sent an MBA business plan competition team to the Rice University competition (the "Super Bowl") for the past three years. Additionally, the program has received national attention from U.S. News & World Report, Entrepreneur Magazine, Latin Trade Magazine, and the U.S. Association for Small Business and Entrepreneurship. In addition to undergraduate, MBA and PhD programs and faculty research efforts, The Forcth Center for Entrepreneurship funds expenses for student teams to compete regionally and nationally in business plan competitions, has its own venture fund to competitively seed student businesses, provides MBA consulting services—gratis—to more than 30 companies a year, and engages faculty in counseling family businesses. European Business School (Oesterich-Winkel, Germany);Audencia Nantes School of Management (Nantes, France); Bordeaux Ecole de Management (Bordeaux, France); University of Heilbronn (Heilbronn, Germany); HHL-Leipzig (Leipzig, Germany); Corvinus University (Budapest, Hungary); Norwegian Schoolof Economics (Bergen, Norway); University of Seoul (Seoul, Korea) . In addition to the MBAA, the University has several resources devoted to services and support for women. The Women's Center is the hub for many of these activities and its website is http://louisville.edu/provost/womenctr/ . 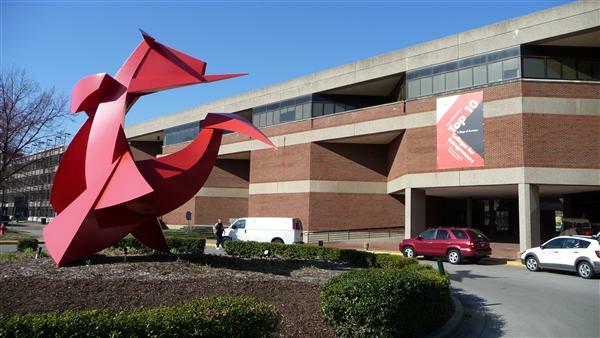 Want more info about University of Louisville, College of Business Part Time MBA? Get free advice from education experts and Noodle community members.